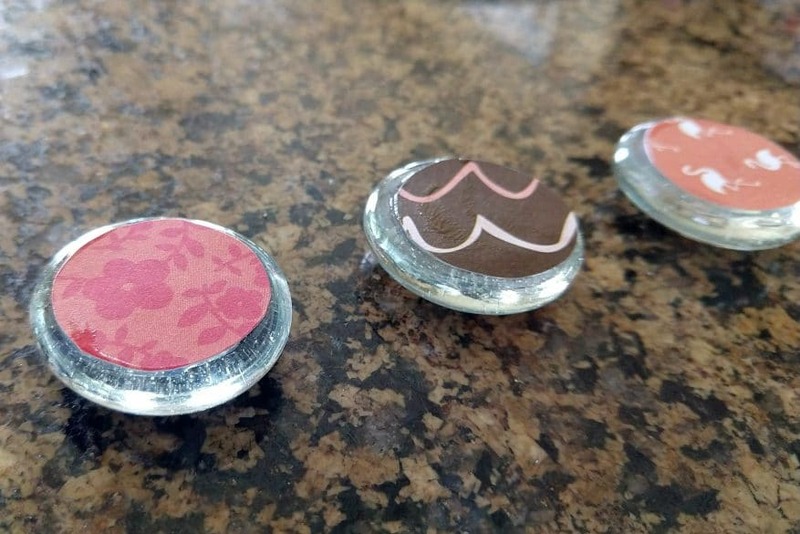 Magnets are a fun and easy way to add a little style and personality. 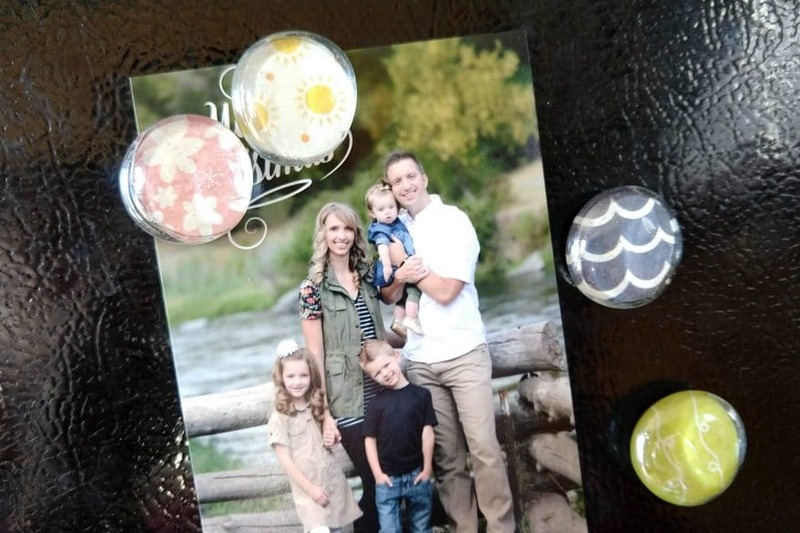 These cute glass button magnets are so simple to make and are perfect, whether you use them to hang up pictures on the fridge, reminders to yourself or give them as gifts. First, open your bag of accent gems and sort through them to find the ones that are mostly round. These are easier to work with since you’ll be cutting a circle out to place underneath. Next, decide what scrapbook paper you want to use. I recommend using card stock. Since the accent gems are small, choose either a solid color or a pattern that isn’t too big. Hold up one of your gems to the paper to see how it will look underneath. Grab one of your accent gems and press it firmly on top of the paper and gloss medium. You should be able to see the medium spread out to the edges of the accent gem. You may need to push the edges down a little bit after a couple of minutes to make sure it is going to stick to the gem. Turn it over and let it dry. After it’s dry, get your glue gun or super glue out. 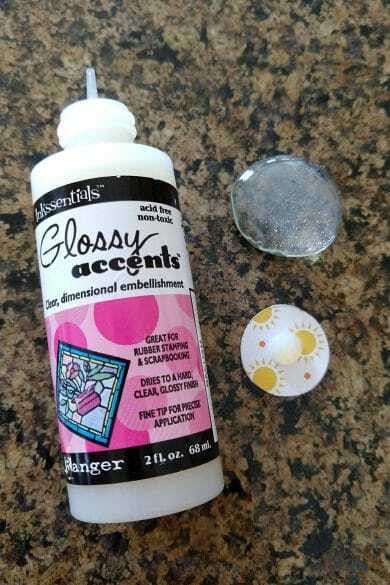 Squeeze a little bit onto the magnet and then place it on the back of the scrapbook paper in the center of the accent gem. Let it dry. And there you have it! Some fun new glass button magnets to use in your home, at work, to give as gifts or any other way you like to use them. If your kids have lockers, they could also use them at school! 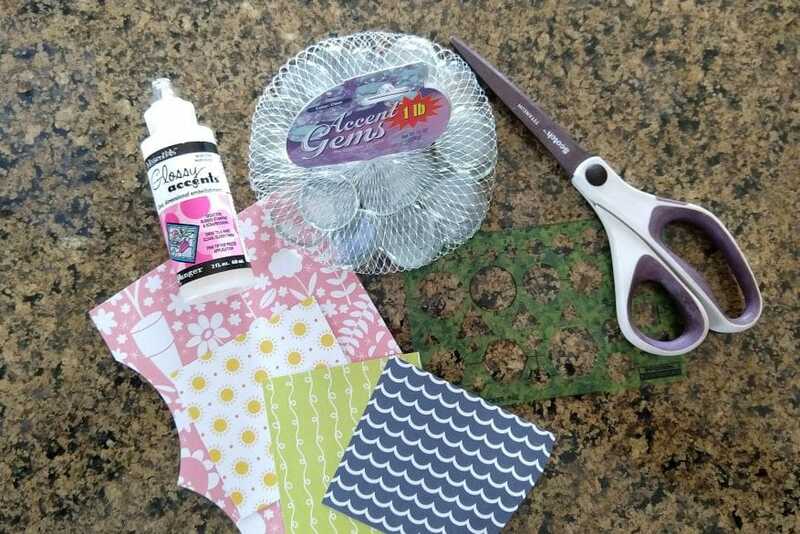 This whole project is inexpensive and a great way to use up scrapbook paper scraps, as well as add a little personality and style to any space!